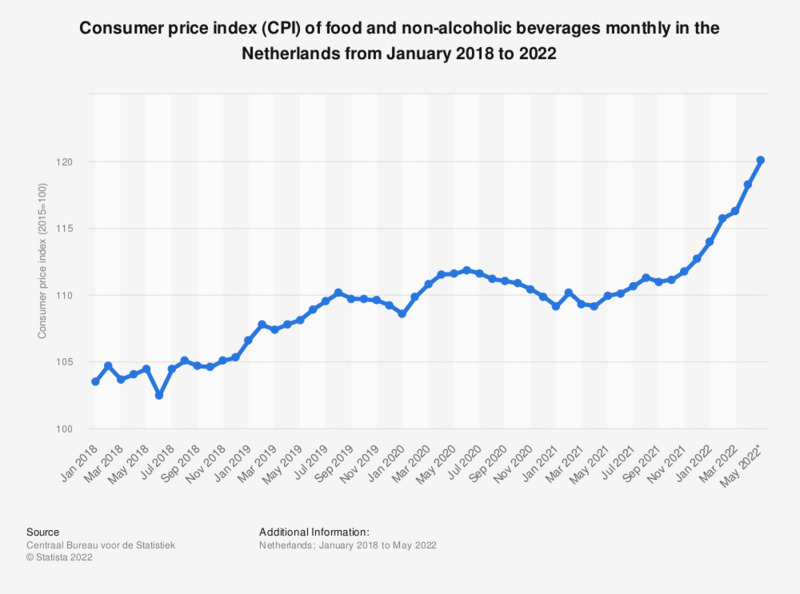 This statistic shows the Consumer Price Index (CPI) for food and non-alcoholic beverages in the Netherlands from March 2017 to March 2019, where the year 2015 equals 100. In February 2019, the index value of food and non-alcoholic beverages was measured at 107.74, an increase from January 2019. In March 2019, the CPI was 107.37. The Consumer Price index of all households refers to the 'shopping basket' of all households in the Netherlands. Statistics on "Children's food and beverages"
U.S. population: How many packages of Kid Cuisine frozen complete dinners have you eaten in the last 30 days?